The acquisition is certainly going to make some big waves. ADT is the largest monitoring company in the US and Apollo’s other monitoring acquisitions, Protection1 and ASG, aren’t far down the list. This means Apollo will control 18 percent of the American residential monitoring services market, an industry generating $18 billion in revenues annually. Apollo paid a premium of nearly 50 percent above the previous close for ADT. So what makes ADT so attractive to an investor? 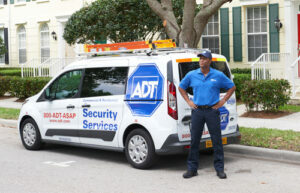 ADT is built upon a subscription model. This type of business is more resilient to economic fluctuations, due to ongoing revenue generation from an established subscriber base. 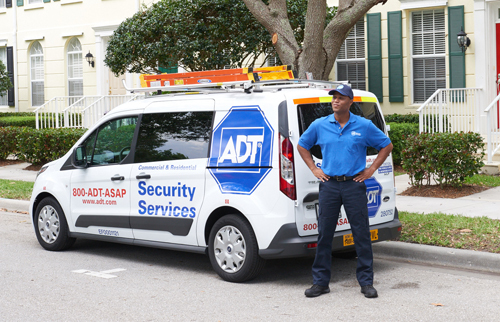 ADT has seen strong revenue growth in 2015, breaking 5 percentage points in each quarter. Apollo is well placed as a prospective owner of ADT, having recently purchased two other monitored security businesses. This will allow Apollo to increase profitability, within each of these acquisitions. Aligning ADT with Protection1 and ASG will be a challenging process. However, their regional and market strategies should result in improved operational efficiencies and business opportunities for both companies. Tim Whall, president and CEO of Protection1, will be bringing a unique set of skills to the table. Having demonstrated his ability to increase profitability and growth, his abilities will no doubt be critical to effective cooperation between these companies. Service providers look to monitored security as a way of increasing their recurring monthly revenue per user. A consolidation of brands could help each of Apollo’s acquisitions hold share as security providers come under increasing market pressure and there is a need to become increasingly competitive. ADT has a strong foundation in the residential market. Utilising the ADT Pulse connected system to offer smart home solutions, ADT have been able to sustain average revenue per unit (ARPU) and reduce customer churn. Smart home solutions can be relatively resource intensive, and with the success of ADT Pulse it would not be surprising to see an alignment of solution between Protection 1 and ADT. If so, this acquisition may enable ADT to bring Pulse to a wider audience than ever before. As the early adopter phase of the smart home comes to a close, the winners will be those who have managed to find the larger footholds in preparation for the mass-market adoption of smart home systems, giving ADT Pulse an even stronger start in this market. From 2015 to 2021, the number of North American smart home (professionally monitored) accounts will triple reaching nearly 17 million accounts, a compound annual growth rate (CAGR) of 20 percent. MSOs, utilities and the DIY segment are expected to have the most gains during this time period, with utilities growth the fastest at a compound annual growth rate (CAGR) of 125 percent. Will new regulations decrease break-ins?